No, the 2017 season didn't go as planned for the Dallas Cowboys. In fact, it finished with a bit of a whimper. The injuries, suspensions, drop off by your WR1 and starting QB, the lack of creativity by the coaching staff, and the lack of execution by the players left many fans -- me included -- frustrated at the culmination of it all. The fact remains, though, that they were a 9-7 team despite the problems. 9-7!!! If you interact much with the Cowboys fan base in forums, comment sections, Twitter or Facebook, you'd think that this was a repeat of the disastrous 2015 4-12 season. While it has flaws, this team is still much closer to a contender than it is to being a cellar dweller like the Cleveland Browns. Remember, we still have a quarterback who will be entering just his third year in the NFL in Dak Prescott. If the first two seasons are any indication, he will continue to grow and show improvement. Dak Prescott, to me, is more the dude we saw in 2016 and the first-half of 2017 than the guy we saw in the last half of 2017. He got annihilated in the Falcons game and didn't trust his protection after that. An offseason to refresh and a healthy Tyron Smith will have him moving the chains with the efficiency we became accustomed to in 2016. The running game is still in its prime with an offensive line anchored by Travis Frederick, Zack Martin, and Tyron Smith. 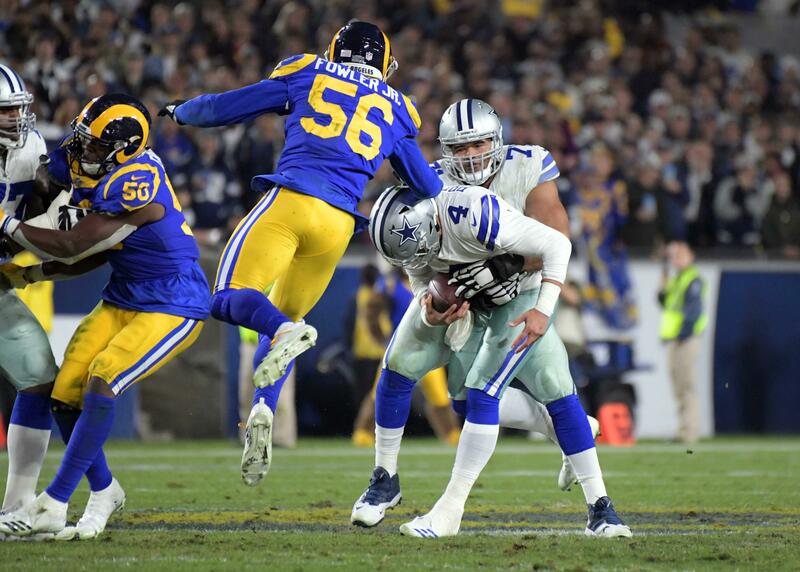 La'el Collins will have a second full offseason to work at tackle after a solid first year at the position. Tyron Smith will be healthier, though back issues tend to linger. Rest is his biggest ally right now, and by missing the playoffs, he's getting more of it. The other day Tyron claimed to be in the best shape he's been in a long time. Ezekiel Elliott should be fairly fresh given his league mandated, midseason six-game vacation. Having upward of 80 fewer carries on his ledger is no small thing for a workhorse running back. With another offseason under his belt, it should only prepare him to be a better runner and player as he enters his third season in the NFL. Dez Bryant still has game changing ability, though some drops, injuries, emotional outbursts, and mental lapses are what everyone remembers. He'll need to be better in 2018, but I think his 2017 is an outlier. Right now, I stand about 99% certain that Dez will be back. The unit that has me the most excited for 2018, however, is the defense, especially the secondary. Chidobe Awuzie, Jourdan Lewis, and Xavier Woods were all rookie revelations in their first year in the NFL. Now, they're being coached by the guy who helped lead the Seattle Seahawks into the "Legion of Boom" era, Kris Richard. With a lot to work with already, Richard should be able to take their games to another level. In addition to those guys, Byron Jones, who is a lot better than many want to admit, is moving to what could be his best position, cornerback. Many, including myself, are excited to see what Byron could do as a boundary corner with his athleticism, length, and sticky-coverage ability. Kavon Frazier found himself a role in the last half of the season, and the defensive backfield is beginning to take shape. Let us not forget the GOAT, Jeff Heath. 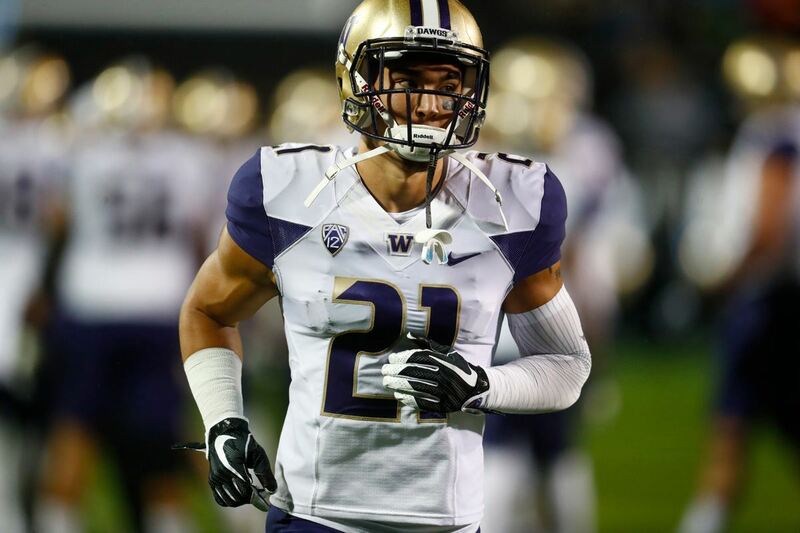 He isn't the best safety in the world, but he will make some plays for you. The secondary is full of ascending players and solid depth. Can't wait to see them take the field. 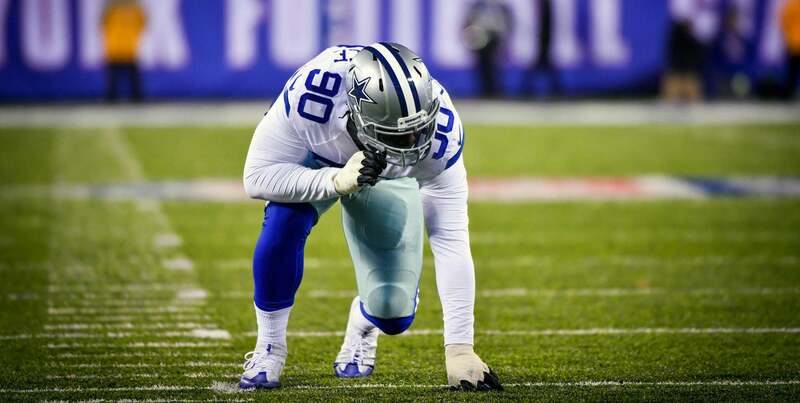 DeMarcus Lawrence and David Irving will be retained and continue to be the monstrous pressure producing, quarterback sacking, line of scrimmage disrupting, Duo of Destruction. 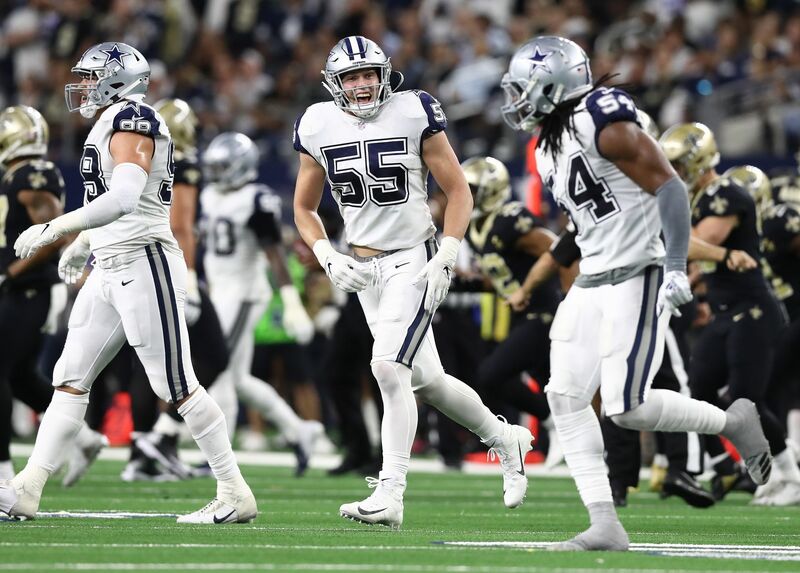 They torment quarterbacks and ball carriers, and make life a lot easier for Maliek Collins, Tyrone Crawford, Taco Charlton, and whoever else gets snaps on the defensive line. With another year of growth for the secondary, this group of defensive linemen will get many more opportunities to put quarterbacks on their backsides. Speaking of Taco, he was a much more productive player in the second half of the season than he was the first half. As you can see here, most of Taco's production happened week eight and later in his rookie season. I expect that progression to continue. Jaylon Smith is another year removed from his knee injury and was making a lot of progress in getting his mind, body, and spirit back into the football swing of things. 2018 should be just another year of progress. He still has a long way to go, but the further he gets from his injury, and another offseason to prepare for a full NFL Season, the better he'll be. They've made some nice additions so far in free agency, as I discussed the other day in my Pre-NFL Draft Offseason Review. It seems with each draft they get a bit closer to completing their identity as the smash-mouth, run the football and play defense kind of team that they've been trying to become. The Dallas Cowboys coaching staff, scouting department, and front office have really found their stride when it comes to the draft. At this point, anything less than three or four day-one contributors seems like a draft failure. With a lot of options at 19 to fit the bill, whether it be a guard in Isaiah Wynn, James Daniels or Will Hernandez, or an EDGE player like Harold Landry or Marcus Davenport, the Cowboys will be able to improve their football team with good football players. Despite the way 2017 ended, this team is a lot closer to contending for a Super Bowl than you might think. Who thought that the Philadelphia Eagles would be contenders after the 2016 season? Not many. I'm not ready to make a prediction just yet, that will come later, but I do believe the Dallas Cowboys will contend for the playoffs once again in 2018.